Still another band from Naples, and also connected to Osanna, formed by Lino Vairetti and Massimo Guarino when that band split in 1974. But Città Frontale were in fact two different bands, the first one being active in 1970 before Osanna were formed with four of that later band members and Gianni Leone, that left to join Balletto di Bronzo. 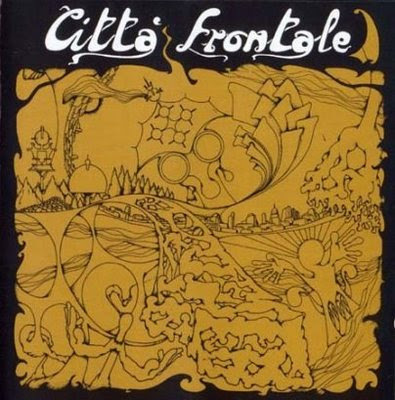 The new Città Frontale retained some of the main elements that strongly characterized Osanna's sound, like the strong use of sax and flute and the mix of prog and mediterranean folk sounds, but with a more melodic and somehow commercial approach. Compared to Osanna's albums, El Tor sounds much more lightweight. Having a nice cover design by drummer Massimo Guarino (he also produced the nice cover painting on Osanna fourth album) the LP starts with the long Alba di una città /Solo uniti, that could easily find its place in Osanna's Landscape of life, but the rest is not particularly original, with even some Zappa or jazz-rock influences. All in all a positive album, but Osanna were a different thing.